Trump said “That’s not law. That’s not what this country stands for. 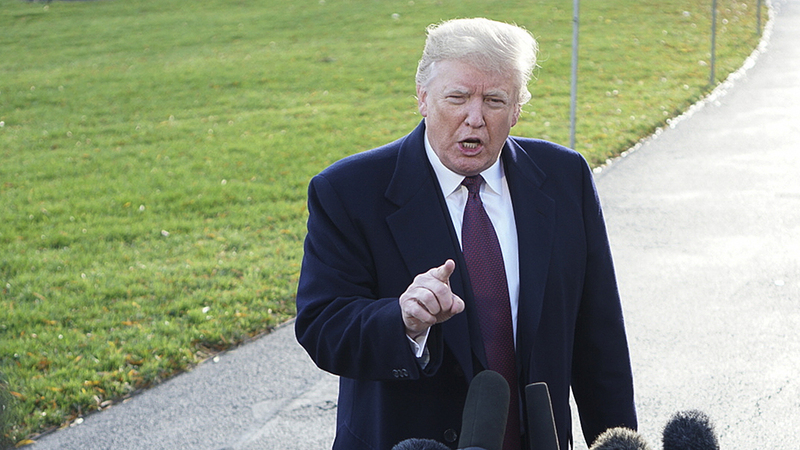 President Trump on Tuesday assailed the Ninth Circuit Court of Appeals, telling reporters that he intends to file a “major complaint” against the court after it dealt his administration yet another legal setback by blocking an order denying asylum to migrants who enter the U.S. illegally.“You cannot win if you’re us, a case in the Ninth Circuit, and I think it’s a disgrace when people file, every case gets filed in the Ninth Circuit,” Trump said. Judge Jon Tigar late Monday sided with opponents of Trump’s policy prohibiting certain immigrants from claiming asylum, granting their request for a temporary restraining order. Trump on Tuesday dismissed Tigar without naming him, referring to him as “an Obama judge.” Tigar was nominated by the former president in 2012.
during his tenure that federal judges had overstepped their bounds in rulings on Trump administration policies. The Ninth Circuit, based in San Francisco, has frustrated Trump repeatedly by ruling against his proposed travel ban on several Muslim-majority countries, and a Department of Justice effort to cut off federal funding for so-called sanctuary cities. At a White House event earlier Tuesday, the president joked that the Ninth Circuit may attempt to overturn this year’s turkey pardons. In 2016, he suggested a judge overseeing a lawsuit against Trump University may be biased against then-candidate Trump because of his Mexican heritage.